Water Pipe and tubing, 1/2" through 8" made with PE 4710 resin for a 25% higher pressure rating. MDPE Gas Pipe - PE 2708/2406 Medium Density Yellow Gas Pipe and Tubing - 1/2" through 8"
HDPE Gas Pipe - PE4710/3408 High Density Gas Pipe & Tubing - 1/2" through 8"
Fiber optic conduit and innerduct - 1/2" through 8"
UL Listed Premise Wiring Conduit for indoor fiber optic and low voltage applications - 1/2" through 2"
UL Listed Electrical Conduit for underground electrical application, 1" through 4". Geothermal Pipe for Geothermal Heat Pump systems. 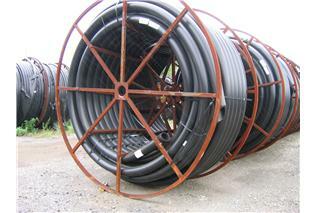 Pipe and tubing is available in black as well as color coded in blue for water, green for sewer and lavender for reclaimed water systems. 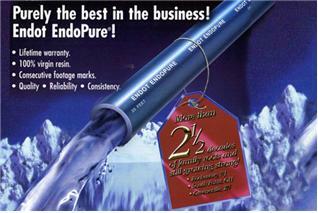 Endot Pipe is an excellent choice for water wells, water service connections, geothermal systems, force main sewers and lawn irrigation. 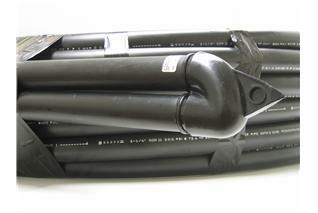 All water, geothermal and black gas pipe is made with bi-modal PE4710 resin with a higher pressure rating than PE3408 products. 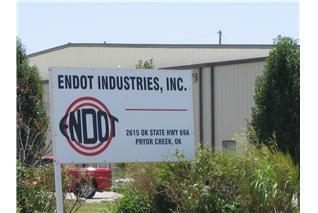 Endot produces a complete line of HDPE conduit for installation of optical fiber cables. Conduit products can be corrugated, smoothwall, and ribbed smoothwall. 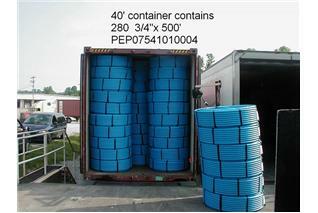 For indoor fiber optic and low voltage applications Endot makes UL Listed Plenum and Riser rated duct. 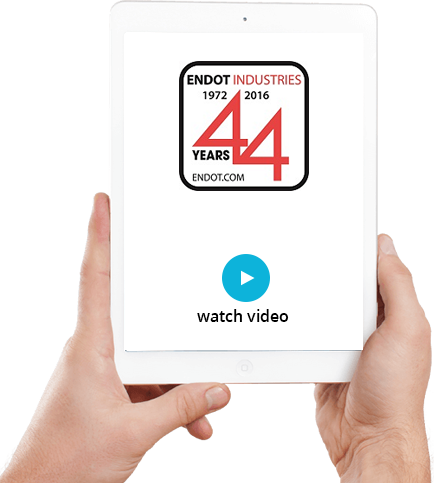 Endot produces HDPE electrical conduit meeting UL 651B and NEMA TC-7 standards. Conduit products can be supplied with a choice of pull line installed and can be prelubricated. Conduit connectors are also available. 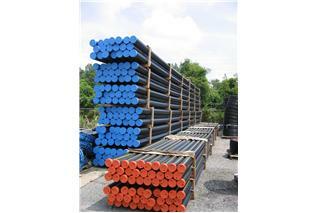 ENDOT GEOTHERMAL pipe is only produced using High Performance PE 4710 Polyethylene resin.